The weather is getting warmer and summer is just around the corner. This means more time outside and on your deck. However, you may have noticed that your deck’s stain is starting to wear off and it’s in need of a little TLC. 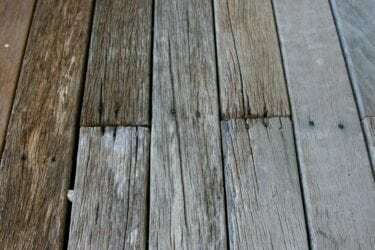 While restaining or painting a softwood deck isn’t complicated, there are some crucial steps that you need to follow to make sure it’s done properly. We’ve laid it all out so you can make sure your deck is on its “A-game” just in time for that first summer barbecue. Finishing a hardwood deck? Get specific instructions for properly finishing a Hardwood deck in our other article. It’s important that you start with a totally clean deck before you jump into the staining process. This will allow the stain to completely adhere to the deck. If you are getting ready to stain a brand-new deck, be sure and check with your manufacturer to find out how long they suggest waiting for the wood to aclimate before staining or painting. If you are restaining a deck, you can clean it with a pressure washer and a high-quality deck cleaner. When using the pressure washer, make sure that it’s on a low power setting and at least 8-12 inches from the surface of your wood. This will protect your deck from damage. As you’re cleaning, keep an eye out for any boards that look like they’ve started to rot or warp. This is a great time to replace these boards. Also, look out for any loose nails or screws that may need to be hammered in or replaced. As you clean, use a scraper or screwdriver to push down on the wood to test for any soft spots on your deck, indicating a board needs to be replaced. It’s much easier to fix any issues now before you go through the entire staining process. 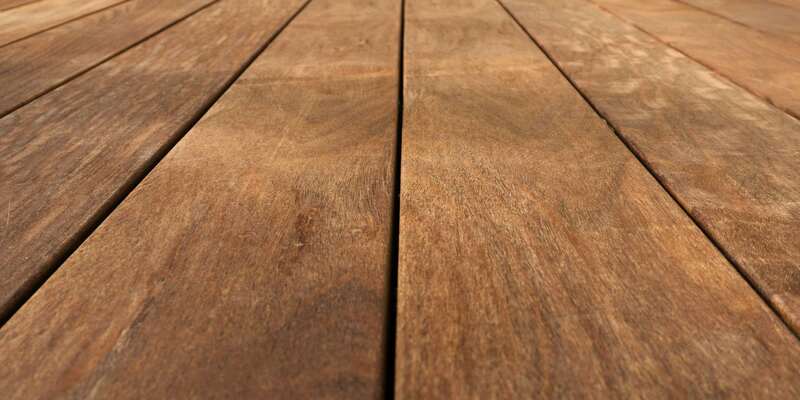 To ensure that you’re staining an even surface, sand the entire deck before you stain it. Wear a protective mask and glasses or goggles to protect yourself from the wood particles as you are sanding. Once your deck is completely sanded, sweep the surface clean so it’s free of all dust and debris. Chances are, there are surfaces surrounding your deck that you’d rather not stain (the side of your house, your bushes, railing, etc.). Adhere painters tape to your wall edges and cover the surrounding plants with old blankets or sheets before you start the staining process. It’s also important to test out your stain color on a small, hidden location to make sure the color is what you want. Now that your deck is cleaned and prepped, it must be time to apply the stain, right? Maybe. Be sure to check your weather forecast and make sure there won’t be rain for the next few days. You also should avoid painting during times of direct sunlight. 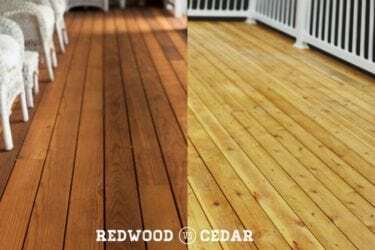 These can be easy details to overlook as you’re prepping, but it can make the difference between a finished job and having to paint or stain your entire deck again because of rain. Now it’s finally time to pick your roller or brushes of choice. While using a roller can save time in applying deck stain, a paint brush can reach better into the grooves of the wood. If you are using a roller, be sure to have a brush handy to fill in all of the spots you may have missed. If you choose to use brushes to paint the entire deck, have at least two different sizes on hand. You will need the large brush to cover the bigger areas and the small brush to paint the smaller details like the trim and railing. After you’ve stained the entire surface, you may need to apply a second coat. If you choose to do this, be sure and wait at least four hours before going for another layer. Once you are done, wait 24-48 hours for the deck to completely dry before you start walking on it and putting your outdoor furniture back in place. Make sure to store any extra stain in a cool, dry place so you can use it in the future. If you don’t have any stain left, make a note of the color for future reference. After you’ve put forth the effort into making your deck look it’s very best, it’s a good time to refresh a few things to really showcase the wood. You may want to add some extra pops of color with new outdoor pillows or create a more inviting feel with additional plants. However you decide to showcase your deck, the most important thing is that you take time to enjoy it. Our suggestion? Grab a cold beverage, sit back in your favorite deck chair and let summer roll in. Have more questions about staining your deck? Give us a call at 1-888-890-6214 and we can give you more tips and advice on the wood-staining process. We also offer a variety of stain brands and colors, so stop by one of our locations! 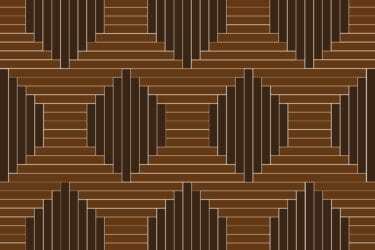 Are peel and stick wood planks a good idea? You’ll Go Hog Wild For This Railing! Does Ipe Have a Warranty?